Today I had a later lunch than usual because I was running around trying to juggle 10 different things. I don't think I'm a very good juggler! 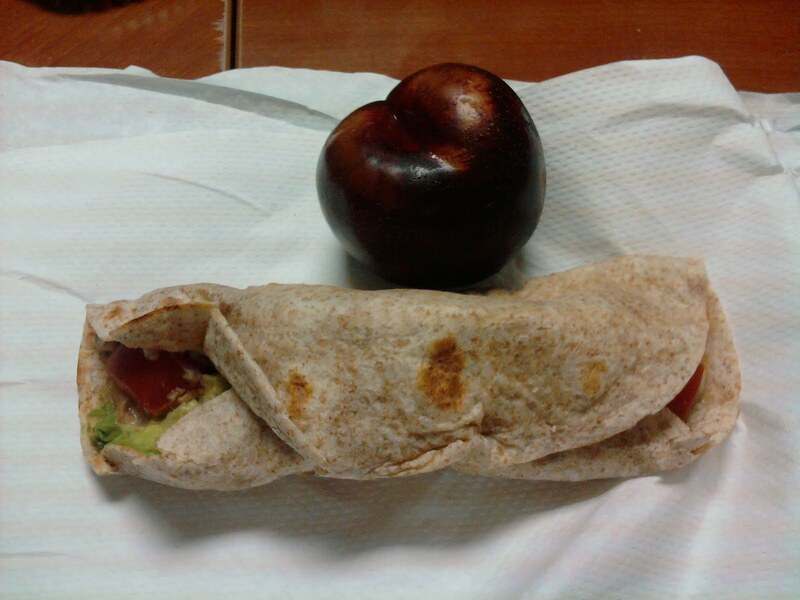 I made a bean, cheese, chicken, avocado & tomato burrito. My own personal 5-layer burrito, yummy! Although, I think I added too many onions to the beansies, but they were ok. I also had a plum. I was craving some sugar or chocolate, something but I didn't want to buy anything. Enter Dark Chocolate Dreams! 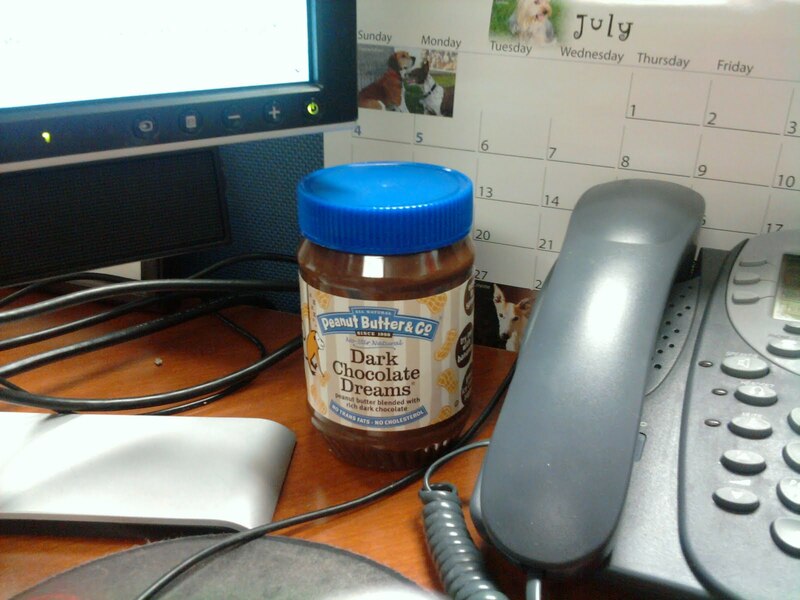 It's probably not a good idea to keep it next to my monitor, but it is so good!!! I had 2 spoonfuls and that has led to my sugar overload! Oh well, it was yummy and well worth it. However, I have moved the jar from my desk! Once I've started to snack, I can't be trusted!